When it comes to packing my carry-on, I ask myself two questions: what will I need if my checked bag gets lost and does the item follow TSA guidelines? One way that I keep track of what I need to pack is to keep a checklist. Some people think checklists are silly, but if it prevents me from having to throw away brand new toiletries, I'll make a list all day long! 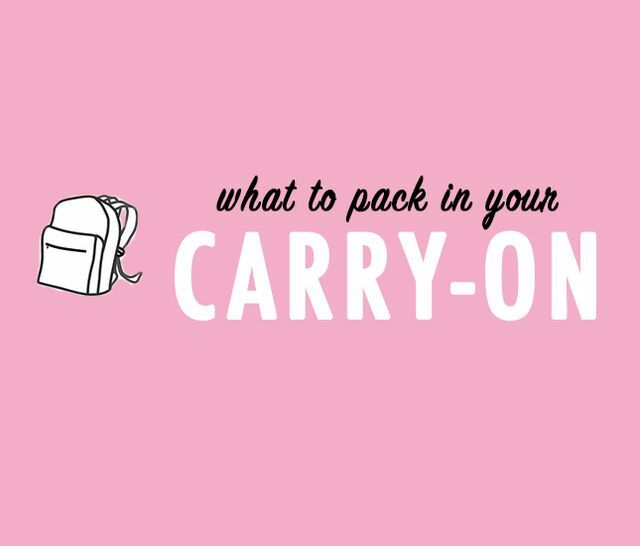 To help you pack for your airport travels, here is a carry-on list that has brought me a lot of traveling success! 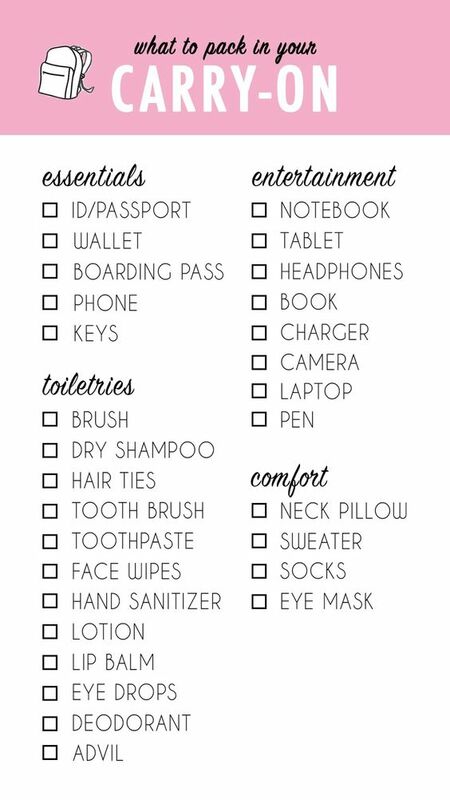 Packing checklists are perfect for any sort of travel, not just when flying. Triple check your luggage before heading to the beach with your hubby, Disney World with the kiddos or a road trip with your friends! You won't be sorry for being prepared! What do you make in your carry-on? Let us know in the comments!